Sacramento, CA–The Pacific Justice Institute is announcing the launch of a new website and resources designed to counter two legislative bills that threaten the existence of the boy Scouts and would mandate some of the most aggressive invasions of privacy, freedom of association and religious freedom ever proposed in the name of LGBT rights. 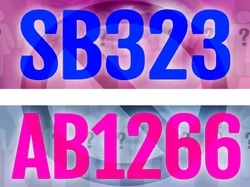 The new site, www.GenderInsanity.com, spotlights two bills pending in the California legislature. Senate Bill (SB) 323 threatens to revoke tax exemptions from the Boy Scouts and many other non-profits, including religious schools, that do not affirm transgender or homosexual lifestyles. Meanwhile, Assembly Bill (AB) 1266 would require that K-12 public schools allow any student to use any “facilities” such as bathrooms and locker rooms, and join any sports team, based solely on the student’s subjective “gender identity,” not anatomical gender. Much more information, including sample letters and legislators’ contact information, is available at www.GenderInsanity.com.